Home › Africa › Book Launch › Book Signing › Christian News › Church › Church News › Diaspora › Events › Kenya › Kenya Diaspora News › News › U.S Diaspora › CALMNESS IN THE STORM Book signing event By Pastor Lucy Paynter December 9th 2018 @ PCEA NEEMA Time : 2PM All are Invited! We thank God for His grace which has been sufficient throughout. The truth nuggets that the Holy spirit reveals are to be shared for the edification of the brethren. During one of the most stormy seasons of my life, as I drew closer to the Lord for intimacy and strength, He gave me a revelation. It’s a much needed truth in our lives today for trials, tests and temptations are bound to happen. How can you overcome all without crumbling? How do you breakthrough without wavering? Calmness in the Storm is woven to answer such questions that one has in the midst of the storm. 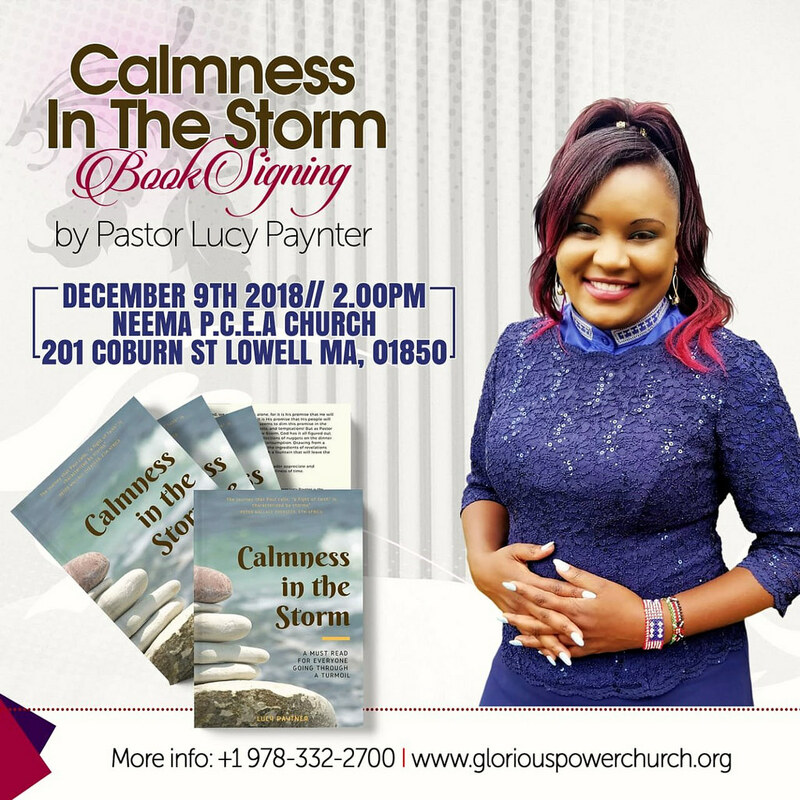 CALMNESS IN THE STORM Book signing event By Pastor Lucy Paynter December 9th 2018 @ PCEA NEEMA Time : 2PM All are Invited! Reviewed by samrack on November 16, 2018 .